Andrew Littleton demonstrates a deep passion for design and the many specific factors that influence it. He believes that authentic and considered design should be available to any user no matter their station. Spaces should be informed by how a person interreacts and inhabits them, as well as how that space exists in the environment. Elegant design is a sensory experience for the user informed by materiality, light, and special definition. He believes that beautiful designs can and should be informed by the structure that supports them. Currently he is working on several University projects as well as The Beaverton Center for The Arts. 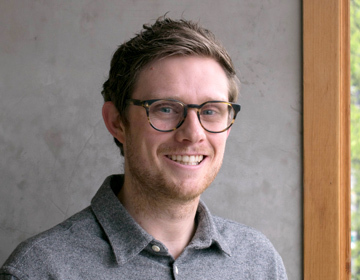 Prior to Joining Opsis Andrew has worked on a variety of different project types with a leading design firm in Portland, a small Residential Renovation + Addition studio, and scrappy Design-Build outfit in Chicago. Andrew’s project type experience includes Higher Education, Office, Multi-Family Housing, Residential Remodel + Additions, as well as High-End Restaurant + Retail spaces. Andrew’s wide array of experience with varied project types throughout all phases from early pre-design to construction has empowered him with the abilities to transform complex problems into inspired solutions. Andrew Earned a Master of Architecture from the Illinois Institute of Technology and a Bachelor of Arts in English Language Literature from the University of Washington. He is currently pursuing licensure and LEED Associate accreditation.